We are not just a gym located in Vaughan. We are a school, a place where you can make progress and level up your skills. But, how do we do that? Today we will discuss exactly this question. Indeed, it is very important to make improvements in your training and you should always avoid doing the same exercises each time you go to the gym. However, there are other techniques that you can apply in order to ensure that you make steady progress in your boxing & fitness capabilities. Let's get into more details, shall we? The first question that comes in mind is: why should I be fit? And the answer is simple: to be ready for whatever life throws at you. Fitness not only helps you to be physically stronger but also makes you mentally sharper. It is not a secret that the most successful people go to the gym regularly. Being fit means that you have a good circulation of blood & respiration; that leads to more blood being rushed to your head, which in turn allows you to formulate better ideas. That's right, we keep it real here and we know all the ins & outs of fitness! But, most people eventually fall into a plateau. And, at Golden Gloves Fitness we are dedicated for you to avoid that. Our coach, Alex, has a keen eye for redundancy and how to eliminate it. Indeed, we revitalize people's bodies at our gym. 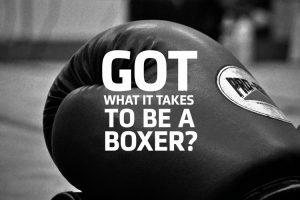 We make sure that you are quick & built to last, not just in the ring but also on the street. You have guessed it; if you really truly want to level your skills up, you need a good coach. It makes a huge difference than just you training by yourself. Avoiding repetition and having a good coach are great ways to improve your skills but there are also other techniques such as having stations prepared and being in your 'mode' are very helpful. Accept boxing & fitness as a part of your personality and you will never have to dread it again. Think like this: no, it is not a choice. It is something I must do. Most of the time it is your thoughts that tell you that it is too hard to do or too cold to workout. When you train all the time, it simply becomes second nature and you forget a lot of the dread. We know, working out is hard. But, you have to do it regularly and might as well have a plan to make it easier. You don't have to be by yourself doing it though. At our gym, we make sure that we have all the tools set up for you to have an enjoyable session. Our finding is this: breaking your first sweat changes the way you think right away becomes truer each and every day. You will be leaving those doors wanting more & more, it is our guarantee. This is a 100% can-do, enjoyable and open-minded facility for all to enjoy. We want you to walk away today with that line in your mind as you finishing reading this newsletter. We cannot stress the sweating part enough. So, why not pick up the phone and/or contact us today to hear how we can transform your life & your body for the better and make you truly climb up the ladder? We are always looking forward to be in touch with you and fulfilling your demands. Please stay tuned for more boxing & fitness related news, advice, and info from Golden Gloves Fitness and, as always, we would like to personally wish you all the best in your future fitness endeavors.